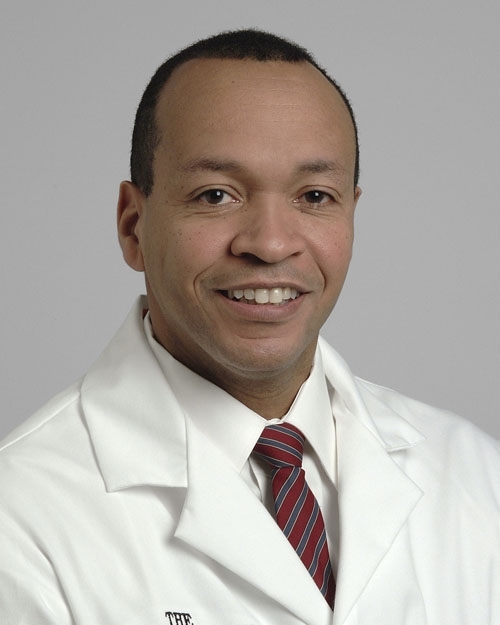 Charles S. Modlin, Jr., M.D., MBA, is a Kidney Transplant Surgeon, board-certified Urologist and Founder and Director of Cleveland Clinic’s Minority Men’s Health Center and is Executive Director of Minority Health at Cleveland Clinic. He received his undergraduate and medical degree from Northwestern University in Chicago. He completed a sixyear residency in General & Urological Surgery at New York University and a three-year fellowship in kidney transplantation surgery at Cleveland Clinic, following which he joined the staff at Cleveland Clinic in 1996. Dr. Modlin developed the Cleveland Clinic Minority Men’s Health Center in 2003, (which includes the celebrated Annual Minority Men’s Health Fair), to address the specific healthcare needs and health disparities disproportionately afflicting minority and underserved males. Dr. Modlin is also an ardent national advocate, leader and public speaker for the elimination of health disparities and has received numerous local, state and national recognitions for his work.